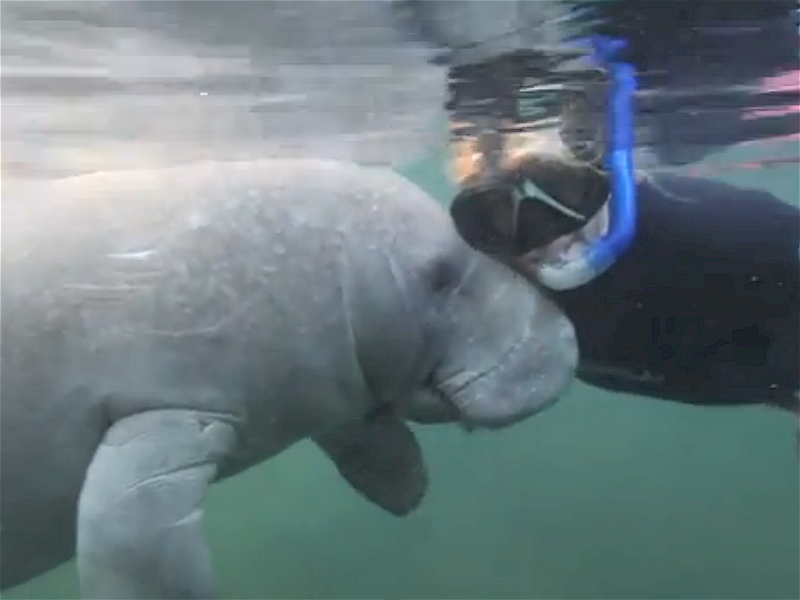 Swim with manatees in their own habitat for a thrilling adventure! 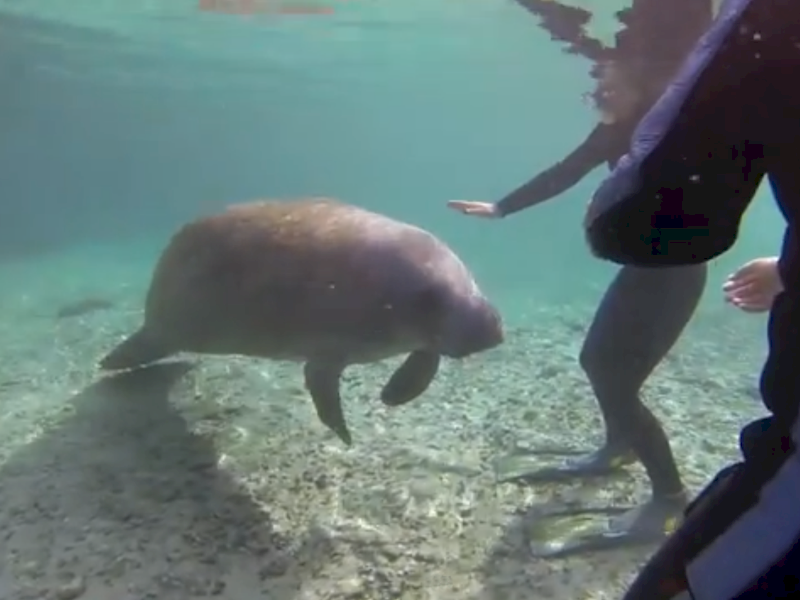 Take the Ultimate Manatee Tour and Swim with Crystal River Manatees in the Wild. 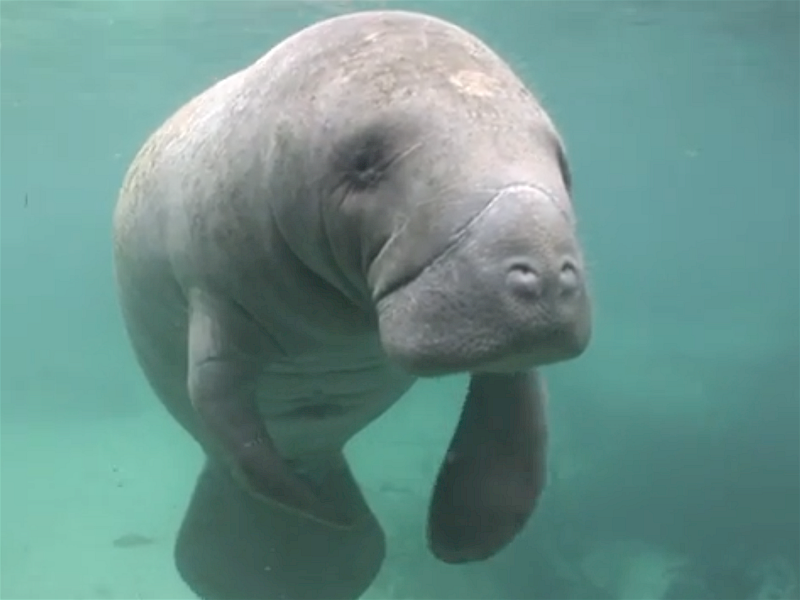 Enjoy a scenic cruise to the popular habitat of the Florida Manatee. 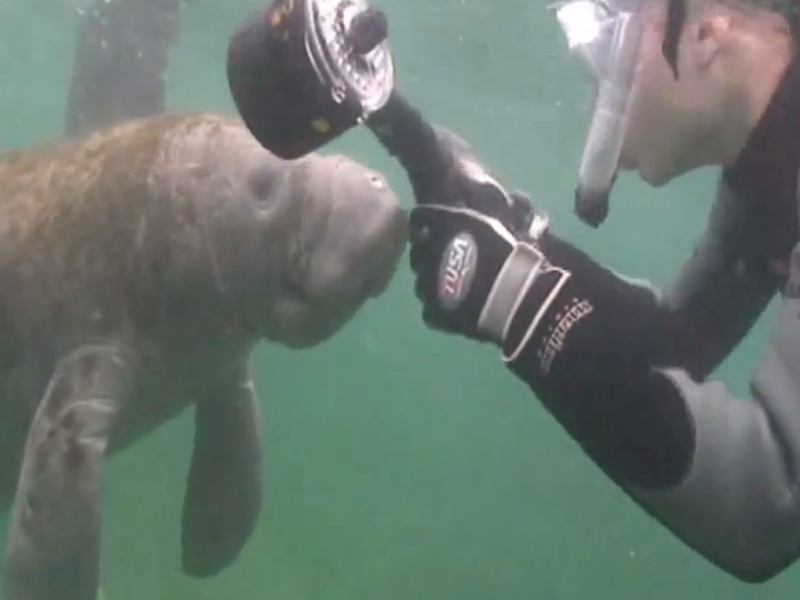 Get up-close and swim with the playful manatees. We provide half-day(4-hr) manatee tours for your ultimate enjoyment. Just give us a call now at 888-600-7550 or book your manatee tour online! 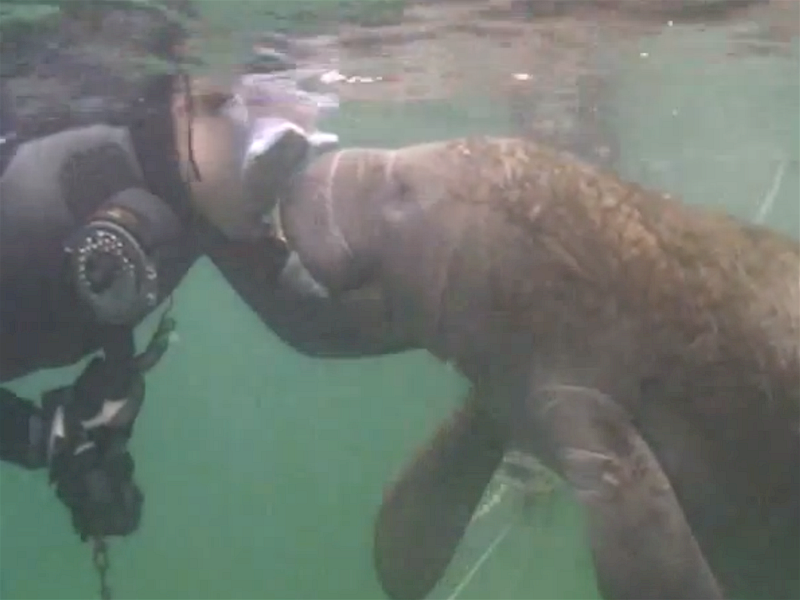 Manatees are very gentle. They are curious by nature and playful at heart. You’ll be amazed at their calmness. You’ll develop a special appreciation of their struggle for existence. The Crystal River coastal waters are home to the largest population of manatees on the west coast of Florida. 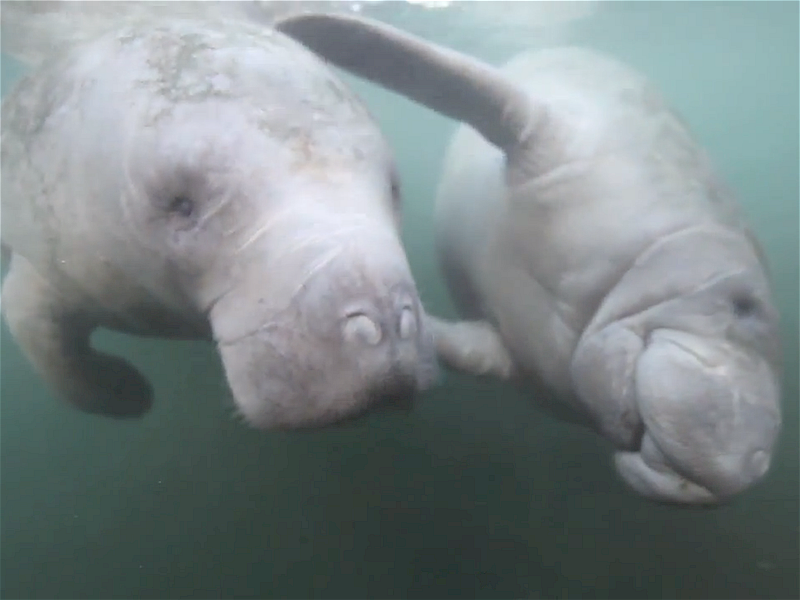 Great numbers of these gentle giants seek the warm-water springs, rivers and other waterways for sanctuary from the colder Gulf of Mexico waters. 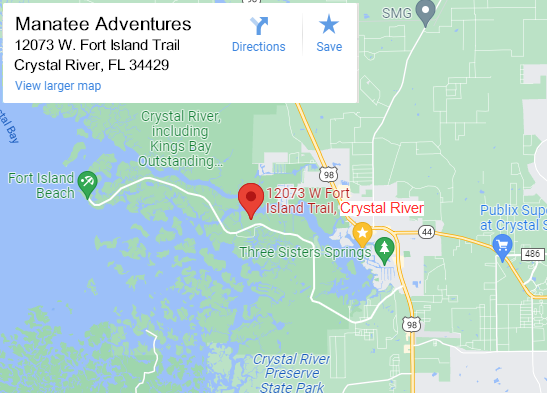 Manatee Adventure Tours are available every day of the year! Come spend a day with the playful Manatees! Manatees can be found in shallow, slow-moving rivers, estuaries, bays, canals and coastal areas of Citrus County and Crystal River. Manatees are a migratory species. Within the United States, manatees are concentrated in Florida in the winter, but they can be found in summer months as far west as Texas and as far north as Virginia. However, these sightings are rare. Summer sightings in Alabama, Georgia and South Carolina are common. West Indian Manatees can also be found in the coastal and inland waterways of Central America and along the northern coast of South America, although distribution in these areas may be spotty. 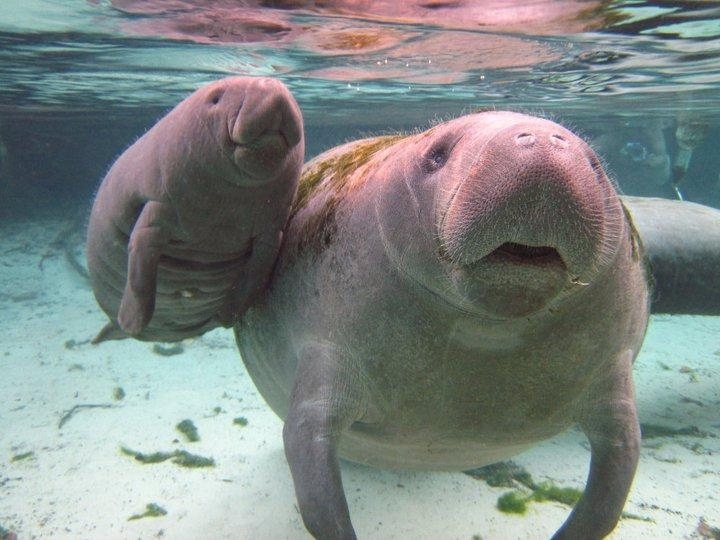 The Florida Manatee is directly related to the West Indian manatee. 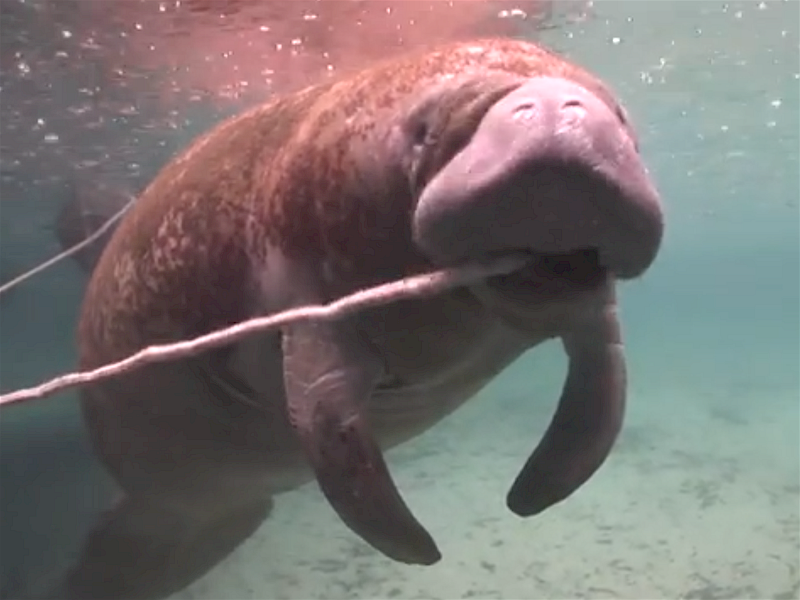 They are also related to the West African manatee, the Amazonian manatee, the dugong, and to the Steller’s sea cow, which were all hunted to extinction by 1768. These manatee photos were taken in Crystal River, FL. Welcome to Crystal River Manatees! 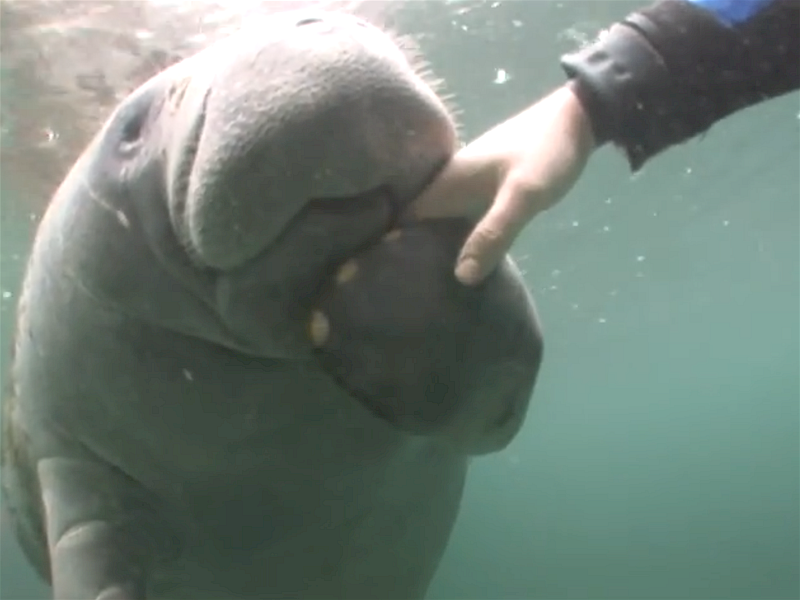 The original Manatee Adventure! We offer Manatee Tours for large groups or small. Call and book early to secure the day you want! Don’t book with the other guys. They just pack you on their boat with a bunch of other strangers. 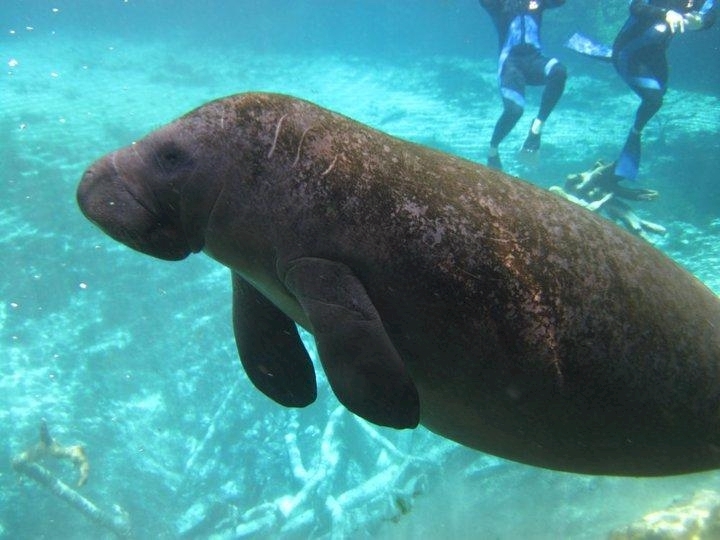 With Manatee Adventures, you and your group will have the tour boat all to yourselves for your ultimate enjoyment! 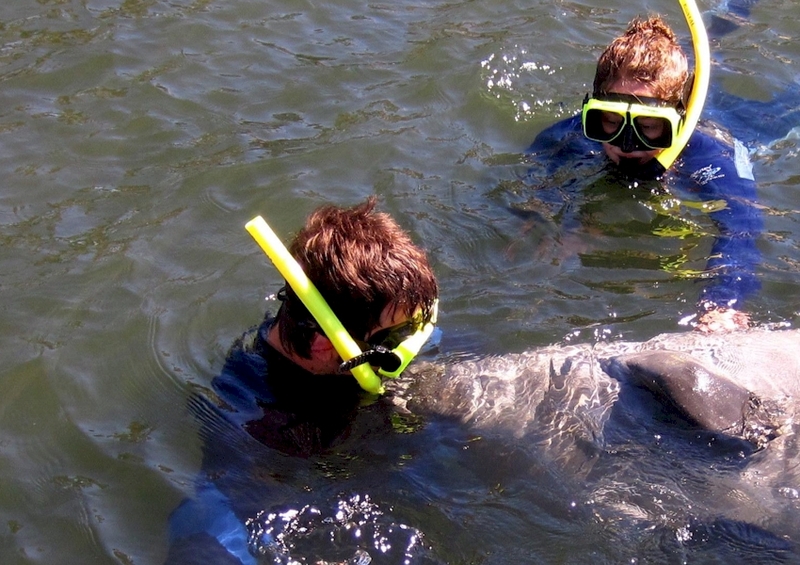 Please call us and reserve your unforgettable manatee adventure today! We will answer any questions you may have and we try to answer every call. We provide all of the snorkeling gear for your group. We don’t charge extra like some of the other tours! 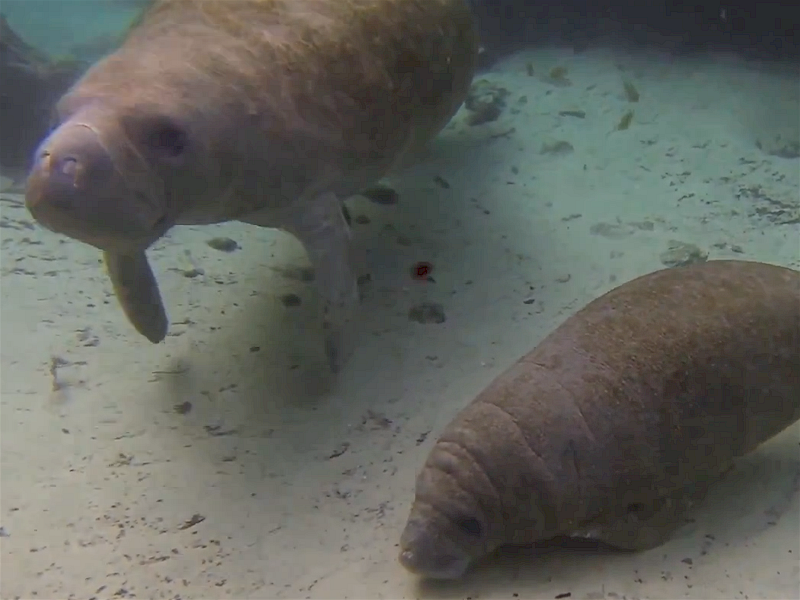 If you’ve never been on a manatee tour before, you’re in for a real treat. Once you get close to our gentle friends, the Crystal River Manatees, you’ll feel like your’e on a magical underwater adventure! Our online booking calendar will let you check for availability and book your tour online, fast & easy!